Can be found around The Arboretum. 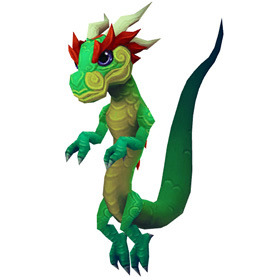 To be able to capture this wild pet, players must be exalted with the Order of the Cloud Serpent faction. Maybe I misunderstand breeds. But this site says that the jade hatchling has one breed but all I can seem to find is a jade hatchling that is different than the one stated. H/S is all i can find. Fought a Rare at 3:55pm server time. It killed itself before I could capture it. Be careful! It was the first one I chose to battle. Guess the search continues. Edit: Found another Rare at 4:19pm server. This one didn't have the lightning ability selected, so I was able to snag this one :) So I'm not kicking myself quite as much now. Gewen, there is no such thing as a Wild Azure Hatchling. Possibly what you saw on the AH was the Azure Whelpling. I caught all 3 in a hour, all common-poor thou. As stated, the frogs seem to share spawn points with them. Like his sister serpent, Wild Crimson Hatchling, this guy has a tendency to suicide himself using a weather effect. Have an aquatic with cleansing rain or a Celestial Dragon in your fight pack when hunting this guy. In two weeks, I have never seen a rare Jade. I noticed some posts about time of day or weather, anyone have an idea when the best time to farm for the Jade ones? I got super lucky and found a rare one of these guys and his red sister on the same day. However, if you want a real chance to get these guys, you may be waiting till the wee hours of the morn. On the plus side, you don't have to worry about whether "Should I keep this rare, or upgrade this poor one? ", since there is only one breed. Do the rares exist?! I have been looking for weeks. I am almost ready to give up hope. Five minutes after posting this I found the rare Jade.... Then lost the battle. However, I have redeemed myself by catching the rare Gold.... They DO exist! Truly redeemed, today I caught both the Jade and the Crimson rares. Too bad the azure wont spawn for me :(... 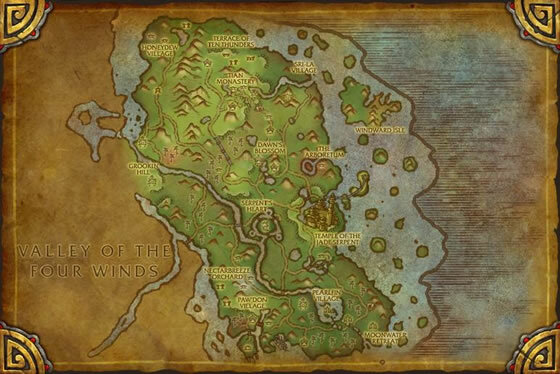 I cant seem to find it on AH on my realm either, though I have seen it on other realms on AH. So happy! I've just captured the crimson hatchling. Very suprised as it's extremely busy there atm. Just floated above the island in the middle and one spawned right below me, 6pm peak time too.. going to stay a little while longer to see if other's spawn. Mine was common. Well... today I got a rare Jade, an uncommon Crimson and an uncommon Golden. That was pretty good. By the way... I went to the Arboretum and there were tons of hatchlings around, and as I was fighting them they kept spawning for a while. And then nothing. So I went to have some food hoping to find more when I was done, but I came back and still nothing. Its just a weird spawn timer. This morning - Sunday at 09.00 am I went there and it was full of hatchlings! They respawned so fast I couldn't even keep up, and it's not like the area is that big. Farmed about 30 min, got a rare Crimson and Golden and then at 09.30 it seemed like the respawn rate suddenly slowed down to having to fly around for a few minutes to even see a fightable pet of any kind. Yesterday I didn'ts see any at all. But today I went there at 12:20 server time on Tarren Mill and there were loads. Got my little Jade Hatchling in Rare quality. Its so cute! So cute, yet so epic.